Delta Hearing Device The Non-Hearing-Aid: Delta changed the game. It redefined an entire industry. Oticon approached me with open minds and an ambitious brief. Our objective became to break the mould and revolutionize the concept of the hearing aid, and to continue to address the stigma of hearing loss through design. 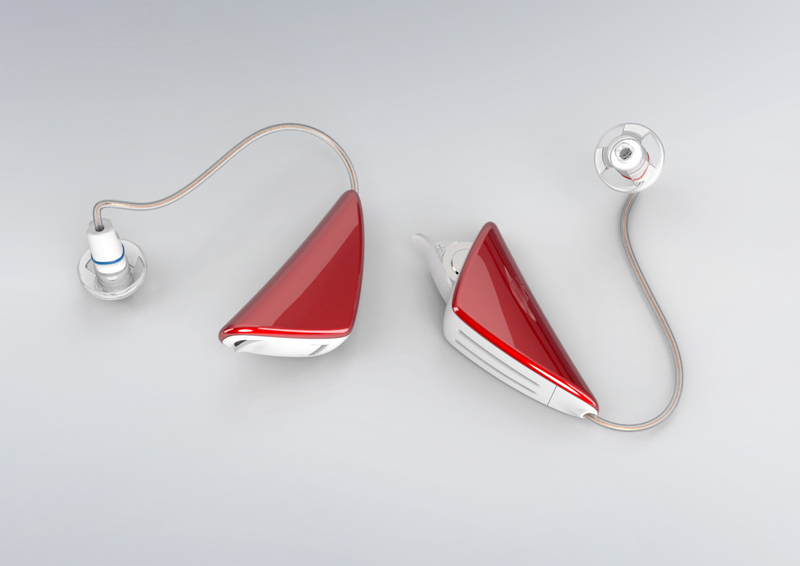 We were to transform the lowly hearing aid into something that people didn’t just need, but would actually want. Delta changed the game. It redefined an entire industry. Oticon approached me with open minds and an ambitious brief. 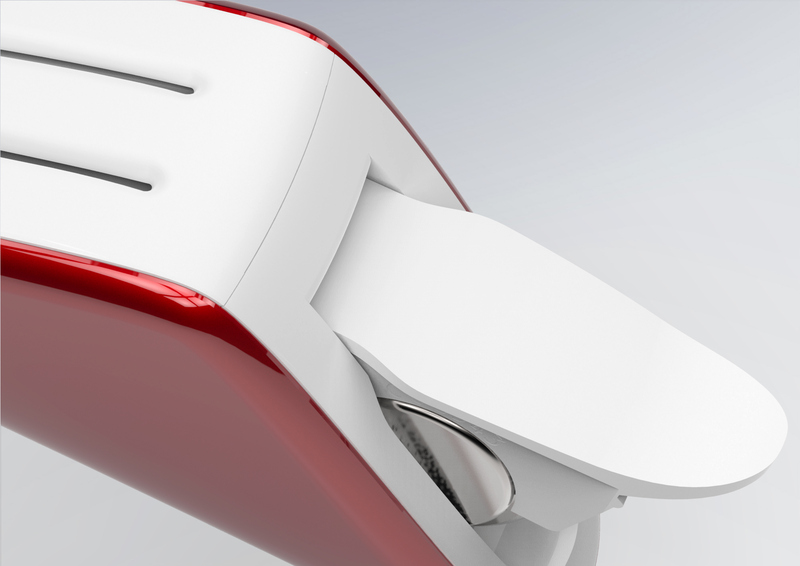 Our objective became to break the mould and revolutionize the concept of the hearing aid, and to continue to address the stigma of hearing loss through design. 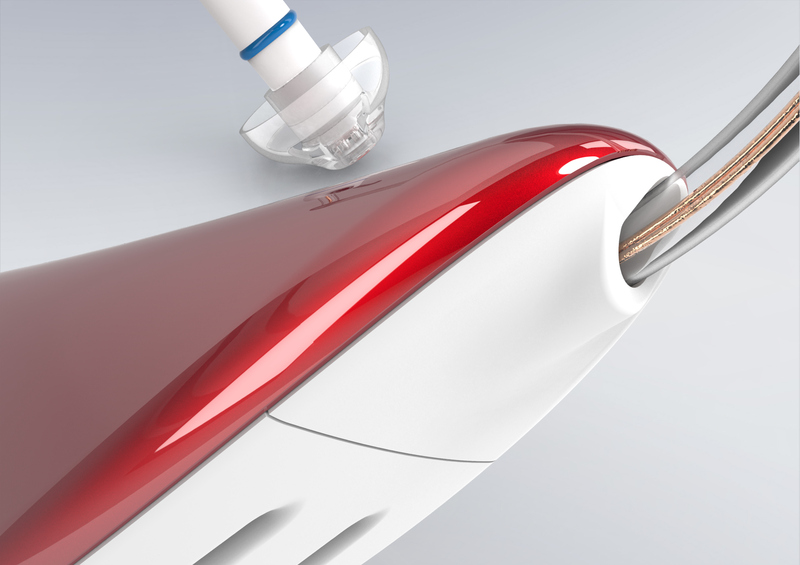 We were to transform the lowly hearing aid into something that people didn’t just need, but would actually want. - A physical configuration which would comply with the general anatomy of the outer ear, and thus be discreet and well-fitting. 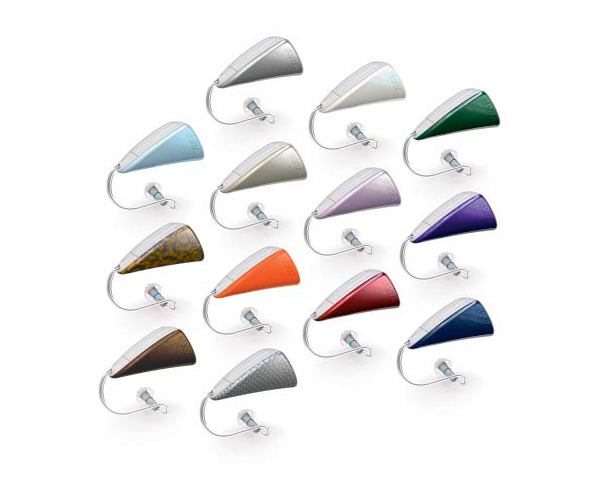 - A design expression which would not relate recognizably to any traditional hearing aids as we know them today, in an effort to avoid the sense of stigmatization or handicap in users. - An air of a modern hi-tech device, more akin to music earphones or mobile phone accessories. A fashionable "sensory-assistive accessory" comparable in status or general regard to eyeglasses. - An idea that the device could have associations to certain types of jewelry such as earrings or gemstones, so as to instill a sense of great value - although it was very important to maintain a unisex aspect. - And of course it was vital that the functionality of the device should be fully supported and indeed complemented by the design. The process involved extensive sketching and modelling, supported by studies of the anatomy of the outer ear. We tested models on users’ ears, and a number of concepts were selected for development. The triangular shape presented a practical way of arranging the individual components and circuitry ideally from a technical point of view, as well as minimizing the device for discreetness, in relation to the anatomy of the ear. Specifically, the construction idea is a novel concept in which a core unit is enveloped by a "protective" shell, which we have referred to during the development process as the "Taco shell", due to its shape. Initially, to underscore this concept, the shell was to be distinct from the core, its contents, in that it should have its own color, surface and sheen. The core unit would remain the same universal color and texture, whereas the shell could be envisioned in as interchangeable, with a multitude of available colors, allowing for personalization. The basic color, Champagne, was an effort to create a discreet skin tone without the prosthetic associations of the standard Beige. The metallic sheen lent the shell a more valuable feel, accenting the shape with its lustre. 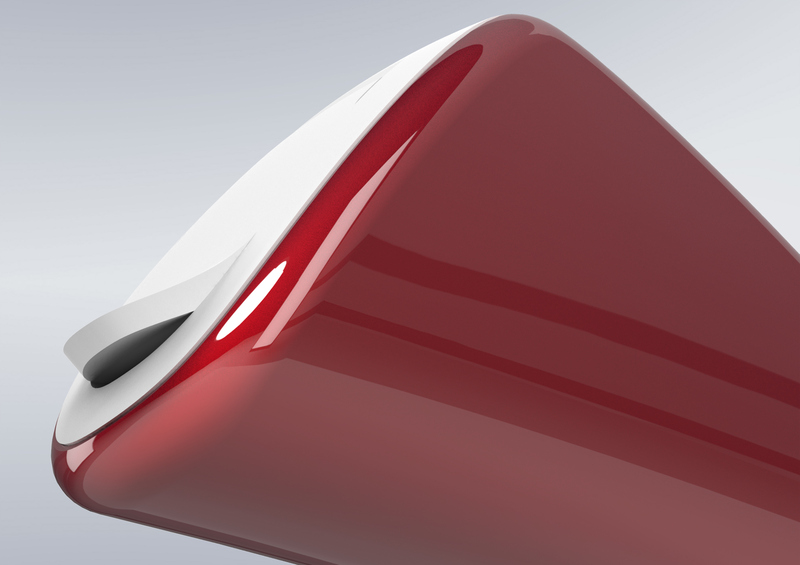 The shape of Delta is characterized by taut curves and surfaces. The shell's lines, colors and surface take their cue from the field of automobile design as much as anything else, again placing the device firmly away from traditional handicap devices or prosthetics, creating an object that's desirable rather than just a necessary evil. Delta succeeded in attracting a great number of both old and new users, previously unimpressed with the thought of wearing a hearing aid. Overwhelmingly, reactions have been very positive, with regards to Delta’s design and form factor as well as to the actual functionality of the device. Sales greatly exeeded expectations, and competitors rushed to develop their own offerings in this new category.